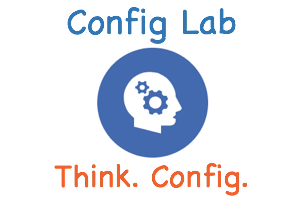 This latest lab lets you practice configuring SNMP. At the same time, it lets you configure restrictions so that only some devices are allowed to even use SNMP with the routers in the lab. Check out the lab requirements first, write down your own answer, and then come back here to check your answer. 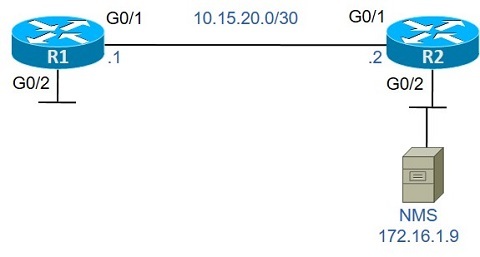 In this case, the snmp-server community commands end with a “1”, which refers to access-list 1. ACL 1 permits all traffic from subnet 172.16.1.0/24, that is, from the subnet in which the NMS resides. Without the “1” on the end, these first two commands would have enabled SNMP, with no ACL to restrict acces, so that anyone who knew the very poorly chosen community values of “readonly” and “readwrite” would have access to the routers using SNMP. The two remaining commands on each router simply set the location and contact, which SNMP will use as values for two different SNMP variables.